If you are one of those purists who believes the only car Porsche should ever build is the 911, you should probably turn away now. Even now the company is enjoying sales numbers like it has never seen before, and it’s all down to its four-platform model range which includes *ahem* family cars like the Panamera and Cayenne. But not content with making grocery-getters, Porsche now wants to remind us of its true purpose – to build world-beating sports cars. The production version of the 918 Spyder hybrid halo car has been confirmed and is on sale for a frankly ridiculous 500,000 Euro ($937,000). 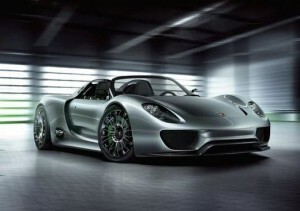 Customers won’t actually be able to take delivery of their hyper-Porsches till at least 2013, because that is when production actually begins, and Porsche will only build each car once it has been paid for. 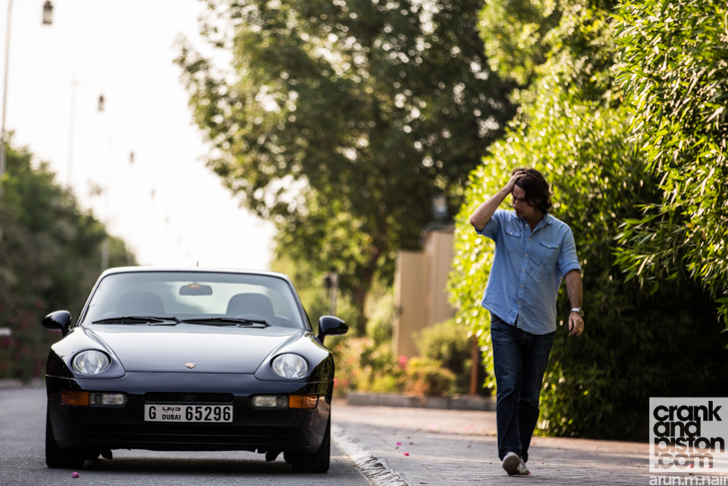 Dropping a massive deposit on a car you can’t immediately take delivery of is quite annoying because you will have nothing to show off to your friends at the country club for a whole two years; but fret not, Porsche is one step ahead of you. Exclusive to future owners of the 918 is the subtly-named Porsche 911 Turbo S Edition 918 Spyder (pictured). 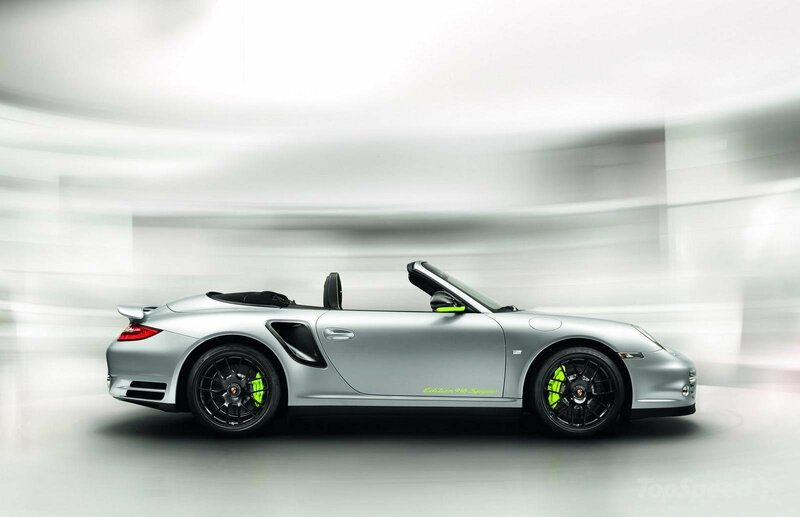 Yes, you still have to pay full price for this special edition Turbo S over the cost of your yet-unbuilt supercar, but with its name emblazoned in bright green down either side, there will be no doubting your presence on the Porsche preferred customer list. But if you aren’t that kind of Porsche owner, but are still a big fan of the brand, perhaps the other officially confirmed model will tickle your fancy. Downsizing is a reasonable direction for just about any business these days – car-making or otherwise – and where better to start than with a smaller version of the company’s best seller. The Cajun will be a Q5 to the Cayenne’s Q7, quite literally as it will share many components with its Audi sibling, perhaps more than the bigger brothers do. Expect a predictable looking, even more road-biased soft-roader that will defy the laws of physics more blatantly, eating corners for breakfast, lunch and dinner. It will be Porsche’s most affordable model, opening the brand up to a whole bunch of new, and the company hopes younger, buyers. But there’s more, and here is where things turn from confirmed fact to informed speculation and promising ‘hints’ from the company. The downsizing theme continues with the long-rumoured baby sports car based around the VW Blue Roadster concept’s chassis. Sitting beneath the Boxster and Cayman, this mid-engined mite will use a four-cylinder boxer engine, not unlike the one in a Subaru Impreza. Like the Cajun, this will allow for the creation of a brand new army of Porscheophiles, one hopefully populated more by driving enthusiasts than trust-fund teenyboppers. Then there are the two-door and convertible versions of the Panamera saloon which, given the car’s FR platform, seem like a no-brainer way to revive that old V8 bruiser, the 928. 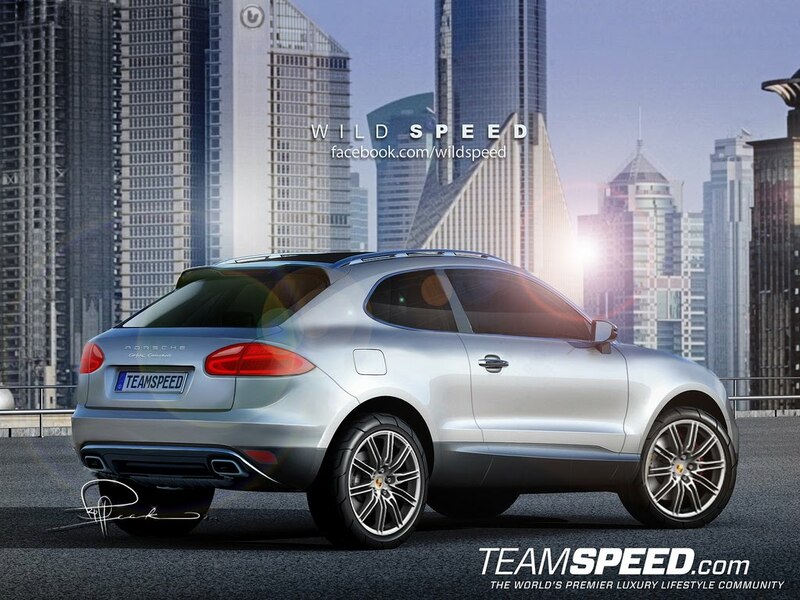 However, it looks like this idea may be shelved until the next-generation Panamera, which will share its platform with Audi, Bentley and maybe even Lamborghini, comes along in a few years. Sitting on a shortened version of this new platform could be a baby Panamera, rumoured to be called ‘Pajun’ – if so, Porsche’s New Model Naming Department is clearly uses the same ethos as its design team. It is meant to unlock a new market of young professio- oh you know the drill. So, if you’ve been pining for a sharp-handling, ugly alternative to the BMW M3, don’t worry, Porsche knows you exist. Finally, recent reports indicate Porsche is taking the fight straight to its old sparring partner, Ferrari and in the process tackling McLaren and cousin Lamborghini as well. Based off a smaller, less expensive version of the 918’s mid-engined chassis could be a mid-engined Porsche to sit above the 911 and directly take on the 458 Italia, MP4-12C and Gallardo LP560-4. This is beginning to sound like a bit of greedy overkill since the 911 Turbo and Turbo S already have this base covered, but it seems this car’s higher pricing and positioning could make it viable and even see the 911 models priced lower. 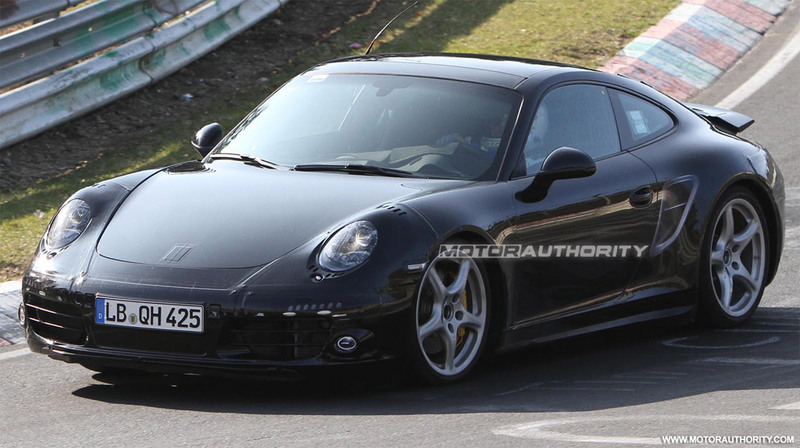 Despite all these possible new models, the one new Porsche we will see before any of them is the new-generation 911 (codenamed 991), an indicator the company knows where its priorities lie. While it’s sometimes disappointing to see a sportscar maker bow to customer demands of comfort, utility and usability, there is no doubting the necessity of such a move for the sake of better profit margins, fleet emissions and, well, newer, younger customers. What is very refreshing is the news Porsche is simultaneously going to make even more sportscars than it already does, detractors be damned. And if it seems this wild expansion is no more than a desperate defence against criticism of the brand’s limited model range, Porsche has this to say.